Fleet Doc in Lexington, KY, was created with values surrounding trust, professionalism, and family. At our shop, our goal is to treat every customer with respect and a smile. Our shop was purchased by Jim Bryant in 2014 in order to create a repair shop that the community could turn to. Jim grew up in Lexington in a large family. After retiring with 25 years in the tire industry he was bored and had the idea of starting an auto repair shop. He purchased a building, changed the name to Fleet Doc, and opened March 1st, 2014. In his search for a key person with high values and integrity, Jim found Josh Stewart, who has over 15 years in the automotive business and a degree in automotive and business management. Josh worked at a large tire company through college with a couple of friends and has remained in the automotive industry ever since. In his spare time outside of auto repair, Josh enjoys playing golf, watching football and basketball, and playing with his kids. After a few years working together and sharing the same values, Jim and Josh recently became business partners at Fleet Doc. Fleet Doc is a member of many different associations, including the BBB, ATI, BNI, and Chamber of Commerce. 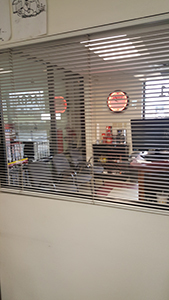 Our mechanics are ASE and A/C certified and have decades of experience. We’ve developed and worked hard over the last 5 years to hire and retain strong talent from top to bottom, with everyone working great together. 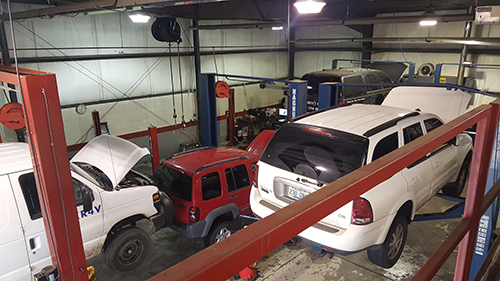 We are a true “One-Stop-Shop” from oil changes, brakes, motors, tires, alignments, flushes, diagnostics and more. Our 14 bays allow us to repair more vehicles at a time than smaller shops, which results in less down time for our customers. Fleet Doc gives back to the community in several ways including vehicle donations, silent auction donations, school program fundraisers, Breast Cancer Fall campaign, God’s Pantry, Shelby's Way Sponsor, and more. We are always looking for more ways to give back to the people in our city. Thank you for visiting Fleet Doc in Lexington, KY, and we hope to see you again soon!